To understand the production of art at the end of tradition, which in our lifetime means art at the end of modernism, requires, as the postmodern debate has shown, a careful consideration of the idea of history and the notion of ending. Rather than just thinking ending as the arrival of the finality of a fixed chronological moment, it can also be thought as a slow and indecisive process of internal decomposition that leaves in place numerous deposits of us, in us and with us – all with a considerable and complex afterlife. In this context all figuration is prefigured. This is to say that the design element of the production of a work of art, the compositional, now exists prior to the management of form of, and on, the picture plane. 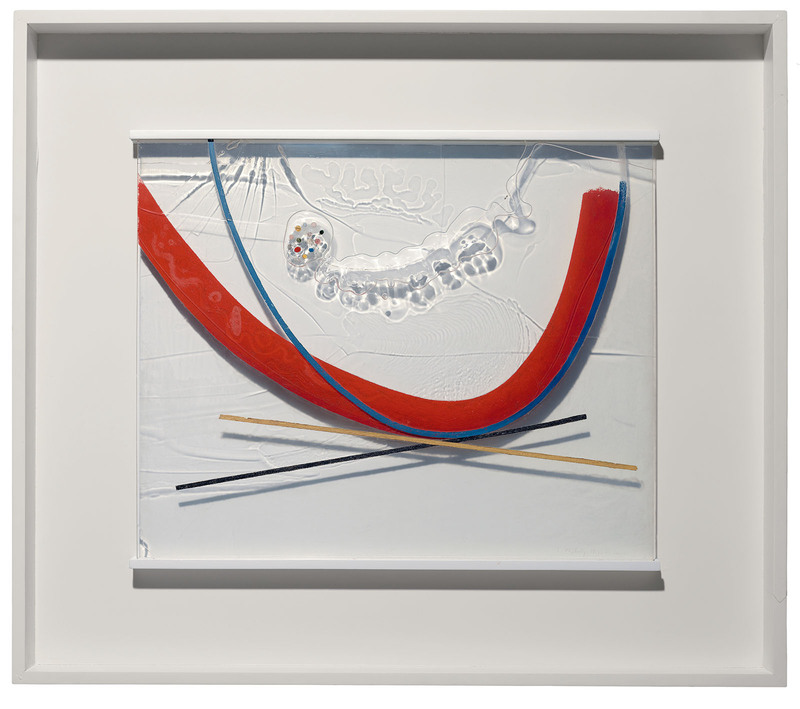 Techniques of assemblage, like montage and collage – which not only juxtaposed different aesthetics but also different historical moments, were the precursors of what is now the general condition of production. Fry, Tony. “Art Byting the Dust,” in Hayward, Phillip. Culture, Technology and Creativity in the Late Twentieth Century. London: John Libbey and Company, 1990, pp. 169-170. In order to understand the present we must link it to the self transforming urges of the past. We must see it as an evolutionary urge toward a transformation of all traditional notions, as a gradual process of growth in which several earlier currents have penetrated one another and thus have changed their very essence. 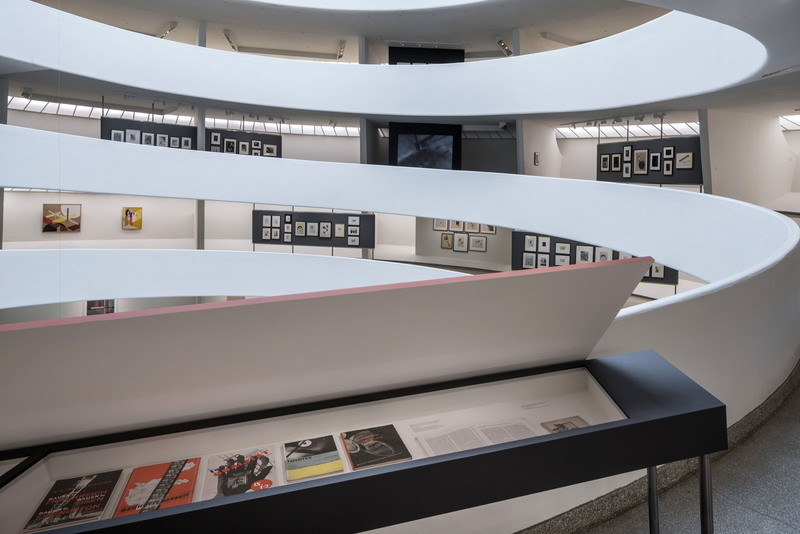 From May 27 to September 7, 2016, the Solomon R. Guggenheim Museum presents the first comprehensive retrospective in the United States in nearly fifty years of the work of pioneering artist and educator László Moholy-Nagy (1895-1946). 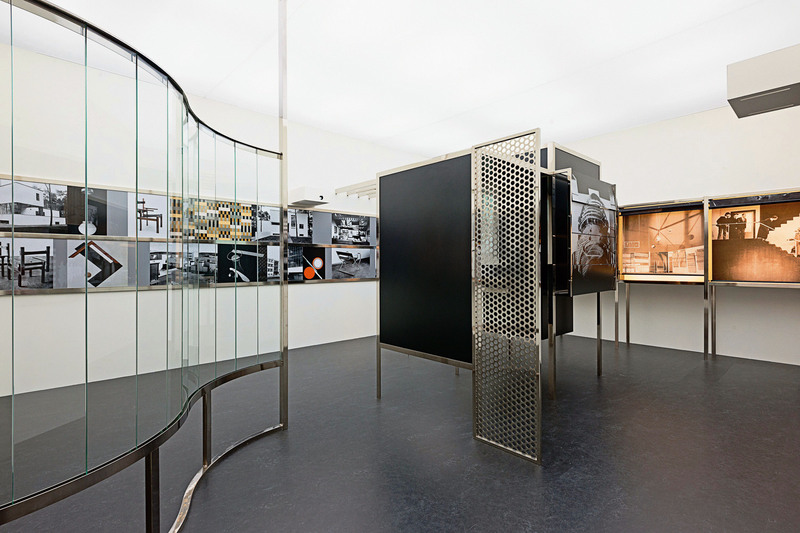 Organized by the Solomon R. Guggenheim Foundation, the Art Institute of Chicago, and the Los Angeles County Museum of Art, Moholy-Nagy: Future Present examines the full career of the utopian modernist who believed in the potential of art as a vehicle for social transformation, working hand in hand with technology. 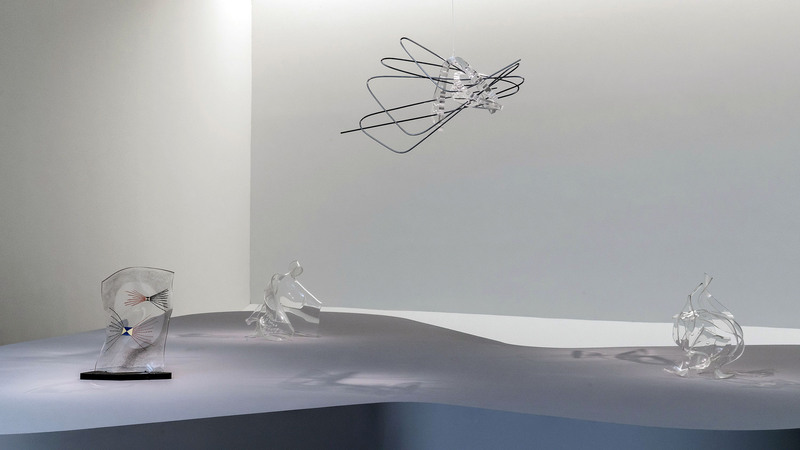 Despite Moholy-Nagy’s prominence and the visibility of his work during his lifetime, few exhibitions have conveyed the experimental nature of his work, his enthusiasm for industrial materials, and his radical innovations with movement and light. This long overdue presentation, which encompasses his multidisciplinary methodology, brings together more than 300 works drawn from public and private collections across Europe and the United States, some of which have never before been shown publicly in this country. After its debut presentation in New York, the exhibition will travel to the Art Institute of Chicago (October 2, 2016 – January 3, 2017) and the Los Angeles County Museum of Art (February 12 – June 18, 2017). 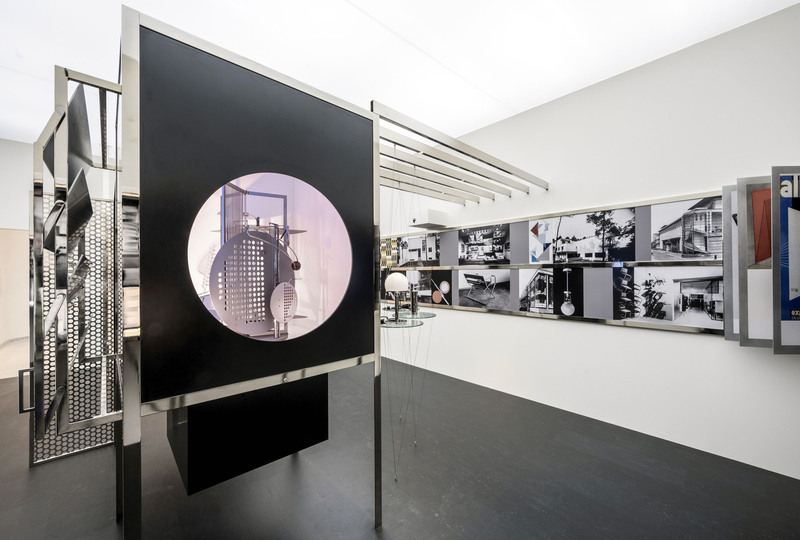 Moholy-Nagy: Future Present provides an opportunity to examine the full career of this influential Bauhaus teacher, founder of Chicago’s Institute of Design, and versatile artist who paved the way for increasingly interdisciplinary and multimedia work and practice. 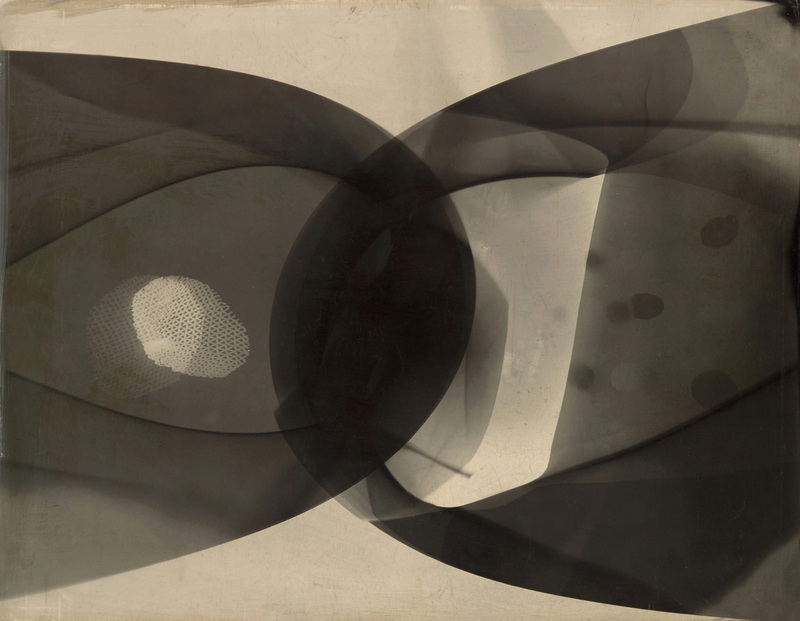 Among his radical innovations were his experiments with cameraless photographs (which he dubbed “photograms”); use of industrial materials in painting and sculpture that was unconventional for his time; researching with light, transparency, and movement; his work at the forefront of abstraction; and his ability to move fluidly between the fine and applied arts. 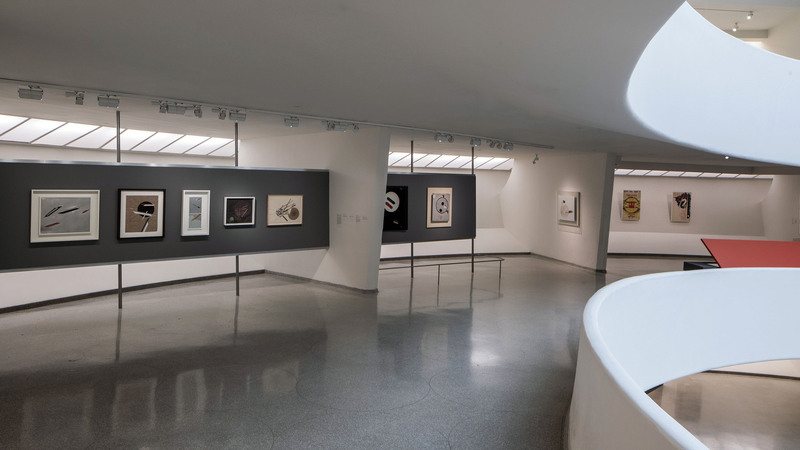 The exhibition is presented chronologically up the Guggenheim’s rotunda and features collages, drawings, ephemera, films, paintings, photograms, photographs, photomontages, and sculptures. 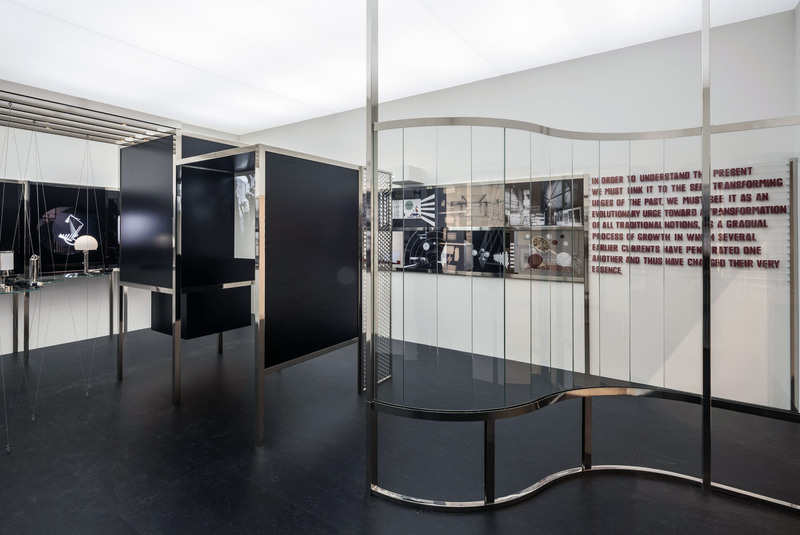 The exception to the sequential order is Room of the Present (Raum der Gegenwart) in the High Gallery, a contemporary fabrication of a space originally conceived by Moholy-Nagy in 1930 but never realized in his lifetime. Constructed by designers Kai-Uwe Hemken and Jakob Gebert, the large-scale work contains photographic reproductions, films, slides, documents, and replicas of architecture, theater, and industrial design, including a 2006 replica of his kinetic Light Prop for an Electric Stage (Lichtrequisit einer elektrischen Bühne, 1930). 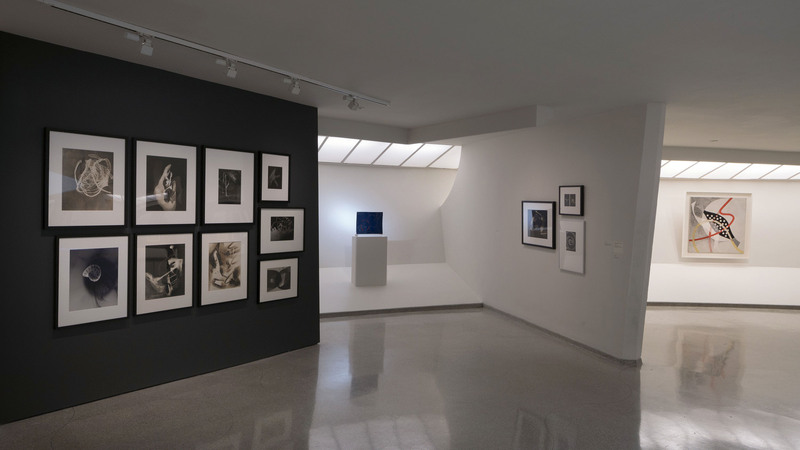 Room of the Present illustrates the artist’s belief in the power of images and his approach to the various means with which to view them – a highly relevant paradigm in today’s constantly shifting and evolving technological world. Room of the Present will be on display at all three exhibition venues and for the first time in the United States. 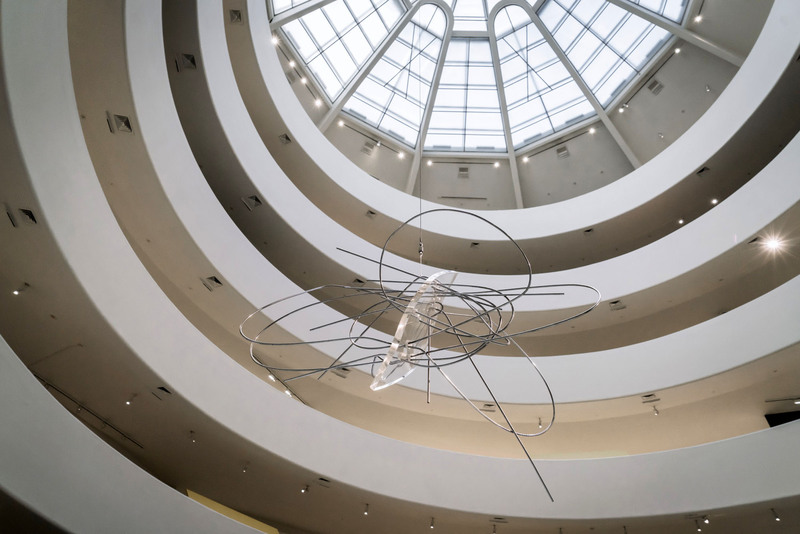 The Guggenheim installation is designed by Kelly Cullinan, Senior Exhibition Designer, and is inspired by Moholy-Nagy’s texts on space and his concept of a “spatial kaleidoscope” as applied to the experience of walking up the ramps. 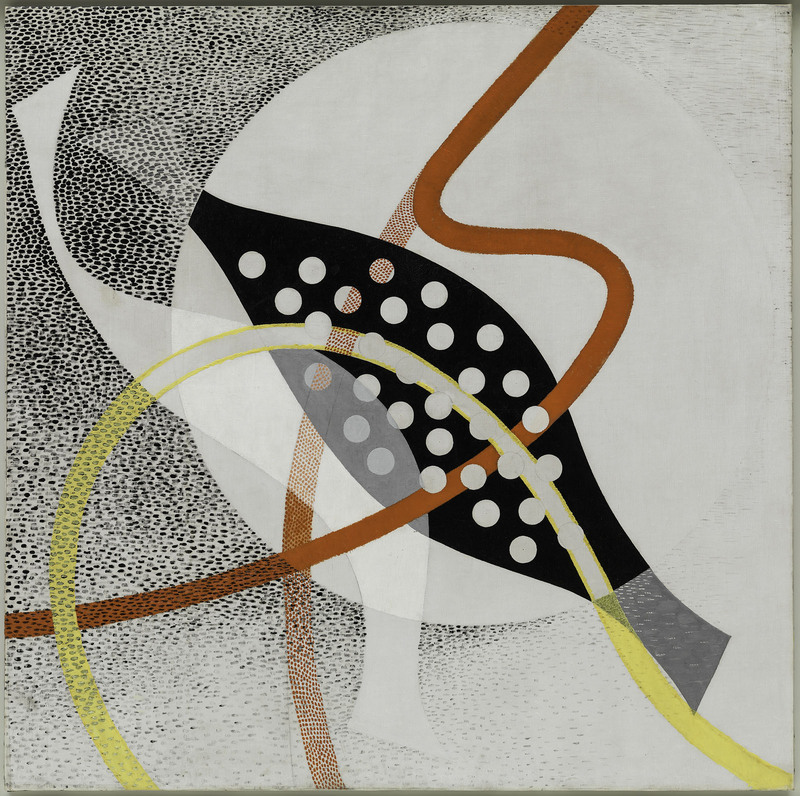 Born in 1895 in Austria-Hungary (now southern Hungary), Moholy-Nagy moved to Vienna briefly and then to Berlin in 1920, where he encountered Dada artists, whose distinctive visual attributes of the urban industrial landscape had already entered his work. 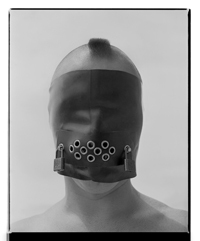 He was also influenced by the Constructivists, and exhibited work on several occasions at Berlin’s Der Sturm gallery. 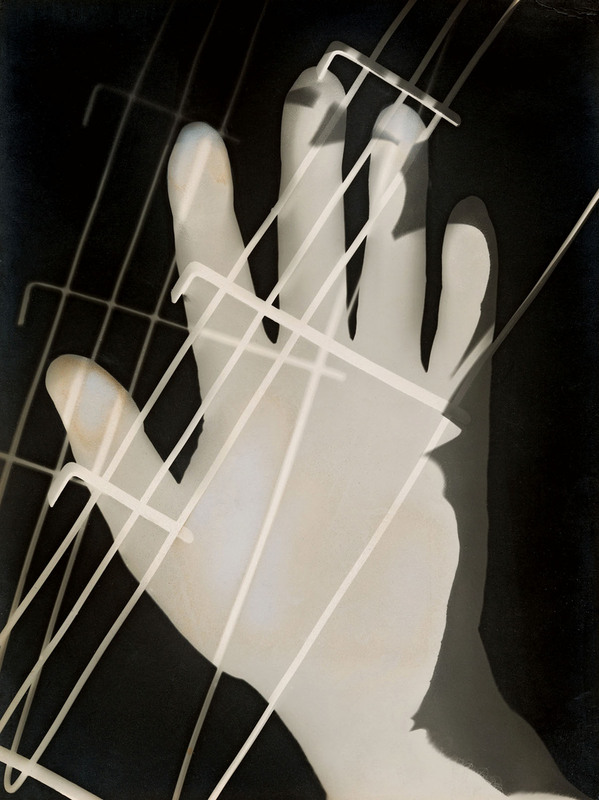 During this time, Moholy-Nagy experimented with metal constructions, photograms, and enamel paintings. 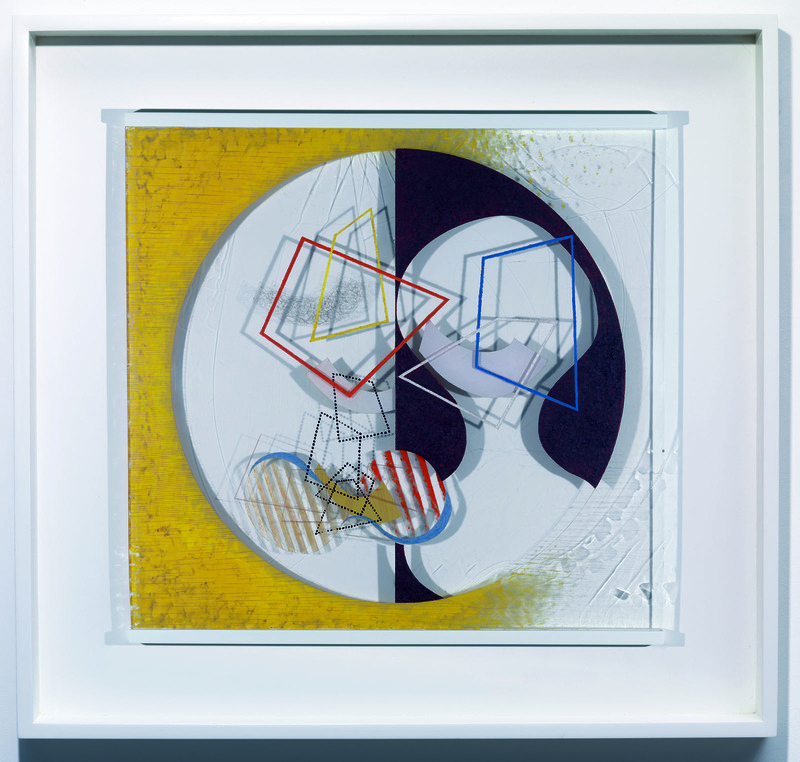 At the same moment, in his ongoing quest to depict light and transparency, he painted abstract canvases composed of floating geometric shapes. 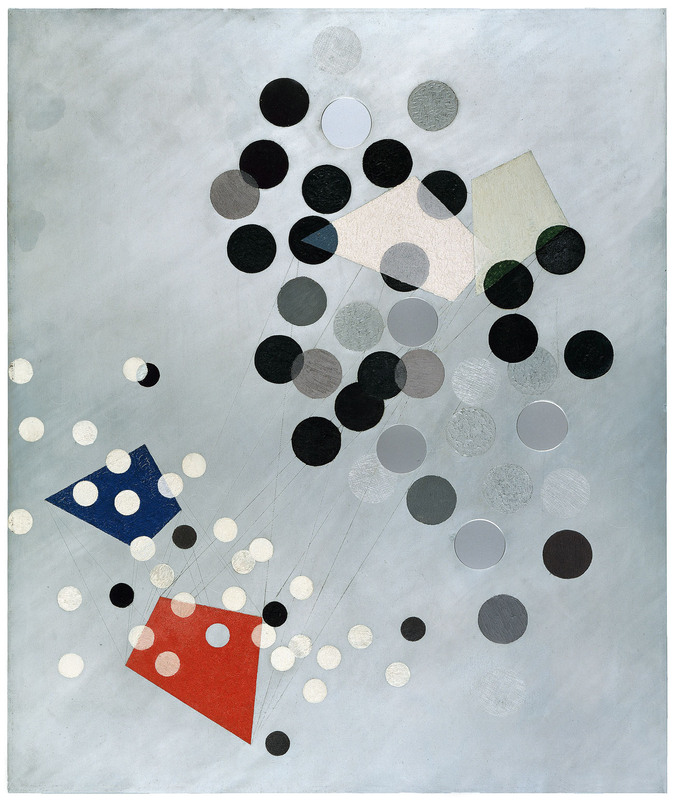 While teaching at the Bauhaus in Weimar and then Dessau, he and Walter Gropius pioneered the Bauhaus Books series, which advanced Moholy-Nagy’s belief that arts education and administration went hand in hand with the practice of art making. Around this period, the artist became temporarily disenchanted with the limitations of traditional painting. Photography took on greater importance for him, and he described the photogram as “a bridge leading to new visual creation for which canvas, paint-brush and pigment cannot serve.” He fashioned photomontages by combining photographs (usually found) and newspaper images into absurd, satirical, or fantastical narratives. 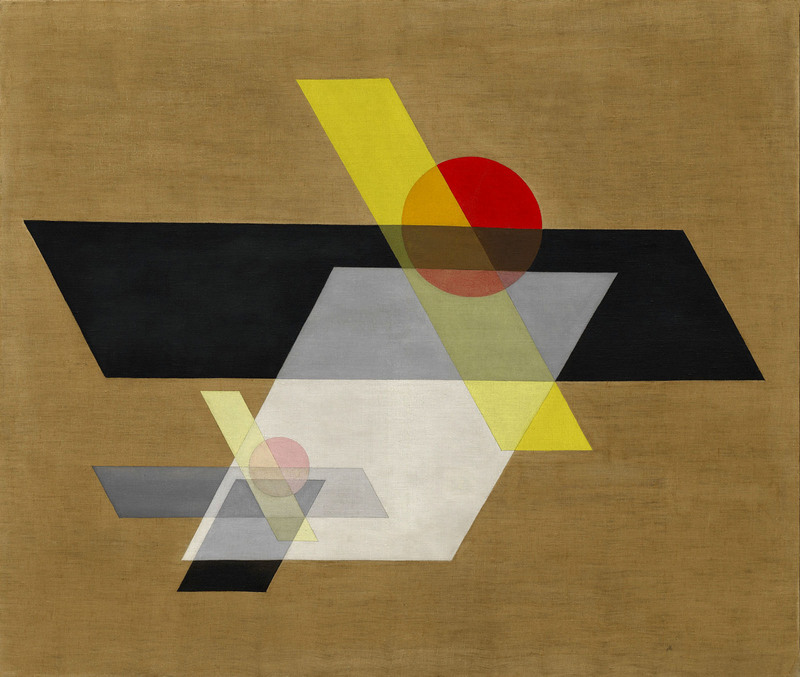 When he moved back to Berlin in 1928, he enjoyed success as a commercial artist, exhibition and stage designer, and typographer, examples of which will be on display in Moholy-Nagy: Future Present. 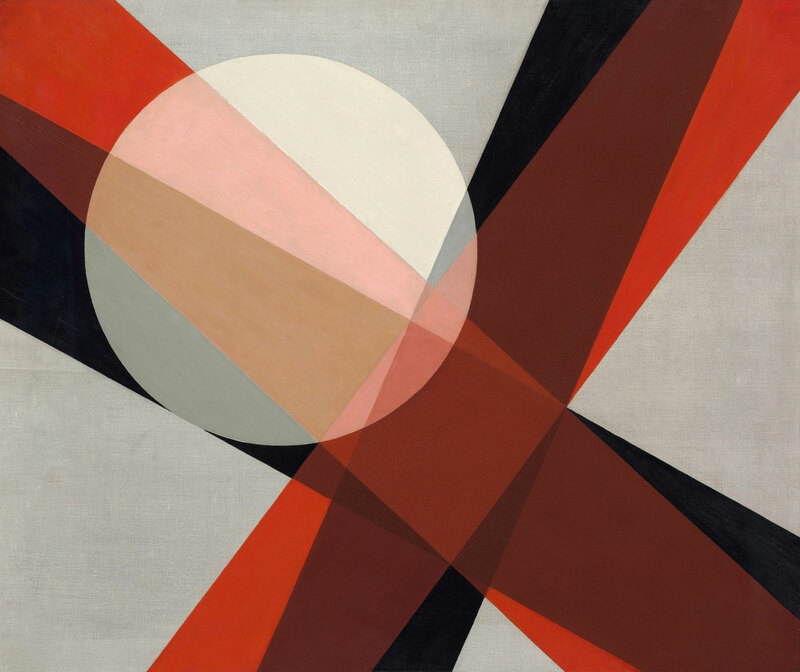 Adolf Hitler’s rise to power made life increasingly difficult for the avant-garde in Germany; thus, in 1934 Moholy-Nagy moved with his family to the Netherlands and then to London. Once he moved to Chicago in 1937, he never returned to Europe. 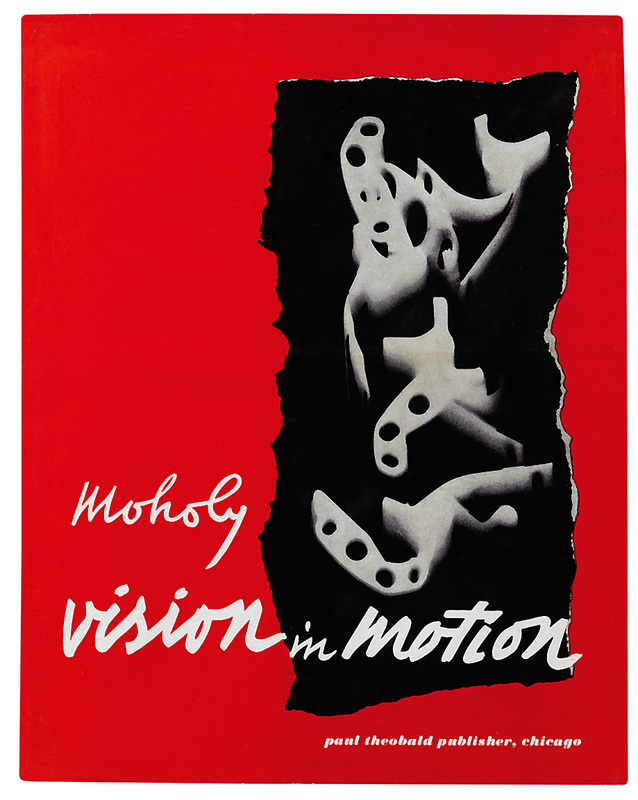 Moholy-Nagy immigrated to Chicago to become founding director of the New Bauhaus, known today as the Institute of Design at the Illinois Institute of Technology. He also made some of his most original and experimental work during this time, pursuing his longtime fascination with light, shadow, transparency, and motion. 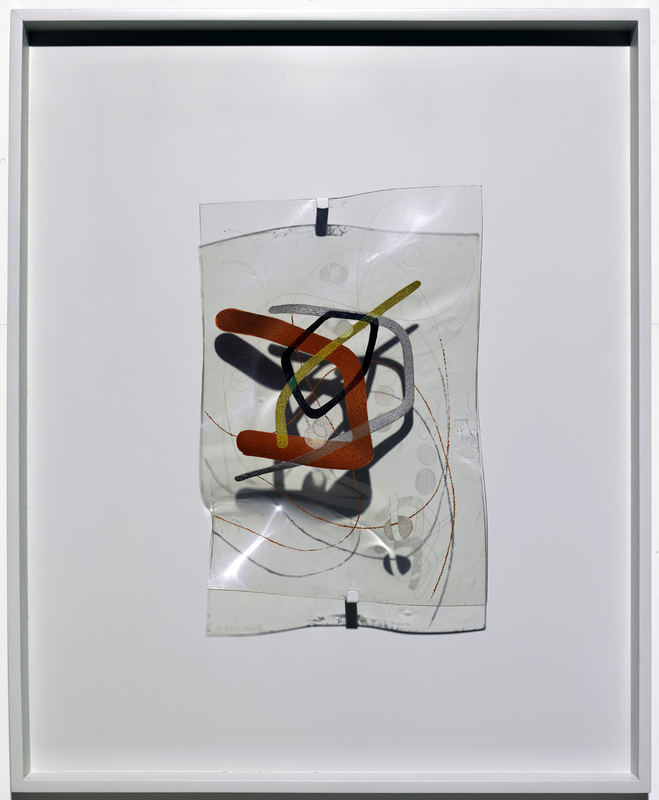 He continued to make photograms, created his Space Modulators (hybrids of painting and sculpture made from Plexiglas), and pioneered 35 mm color slide photography, shown as projections in the exhibition. 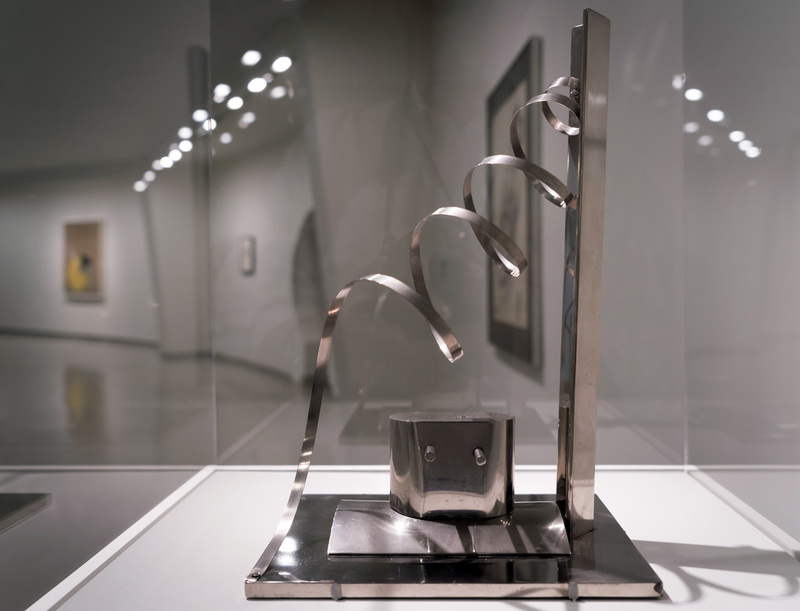 He gave his full attention to American exhibition venues before his untimely death of leukemia in 1946, showing nearly three dozen times across the United States – including in four solo shows. 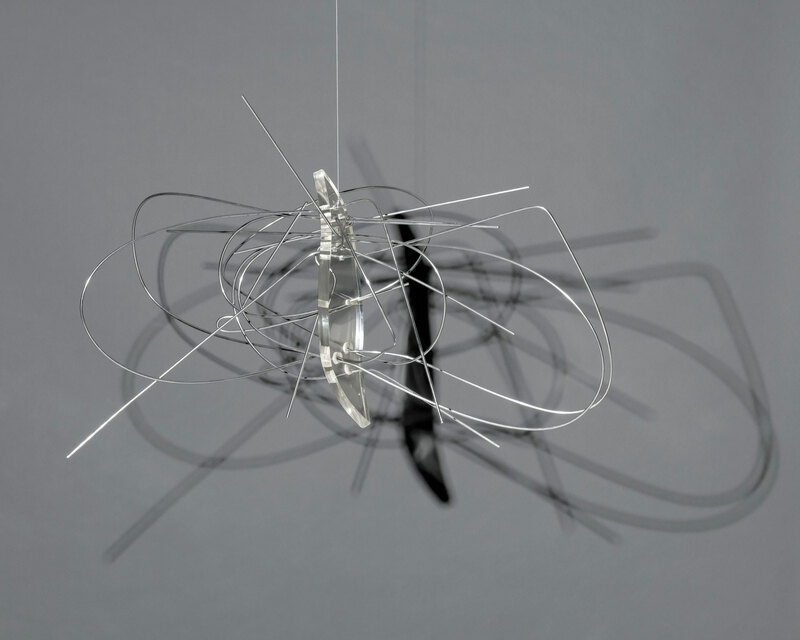 Moholy-Nagy was a central figure in the history of the Guggenheim Museum. His work was included in the museum’s founding collection, and he held a special place at the Museum of Non-Objective Painting, the forerunner of the Guggenheim Museum. 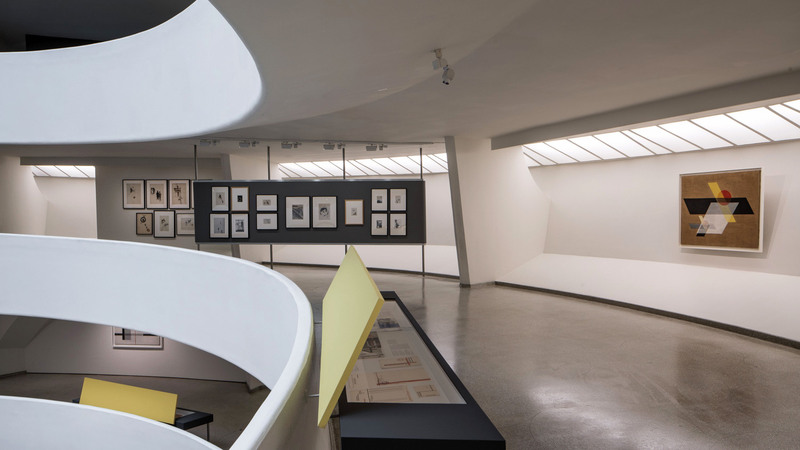 He was among the first artists director Hilla Rebay exhibited and collected in depth, and the museum presented a memorial exhibition shortly after his death. 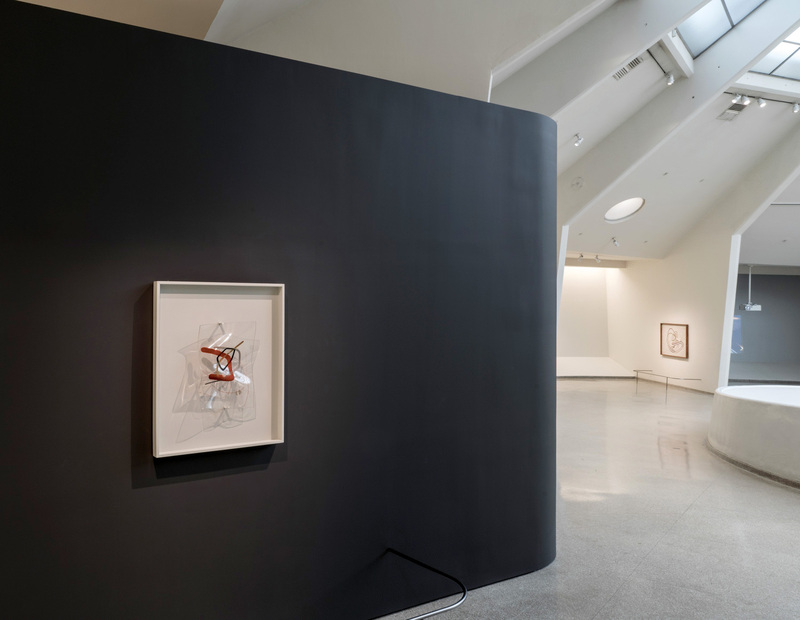 Moholy-Nagy: Future Present highlights the artist’s interdisciplinary and investigative approach, migrating from the school to the museum or gallery space, consistently pushing toward the Gesamtwerk, the total work, which he sought to achieve throughout his lifetime.